Alex McDowell from Think Spirits, whom I had previously met before at the Sydney Bar Show, was there to present us three expressions of Gosling's Rum and a funny quiz that would decide the winner of Gosling's Old Rum, offered for grabs. He had kindly brought with him some Gosling's mason jars from which our Dark n' Stormy were served from, which by the way is a cocktail trademarked by Gosling's everywhere except Australia. Unusual but apparently true. 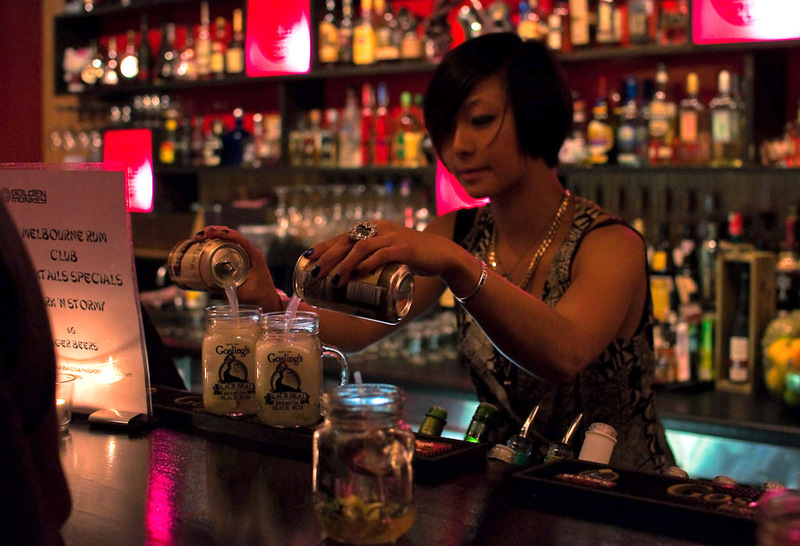 Traditionally the cocktail has been served with Barrit's Ginger Beer but Gosling's have recently introduced their own "Stormy Ginger Beer" to replace the former and why not, considering they are already producing the rum for their trademark cocktail. 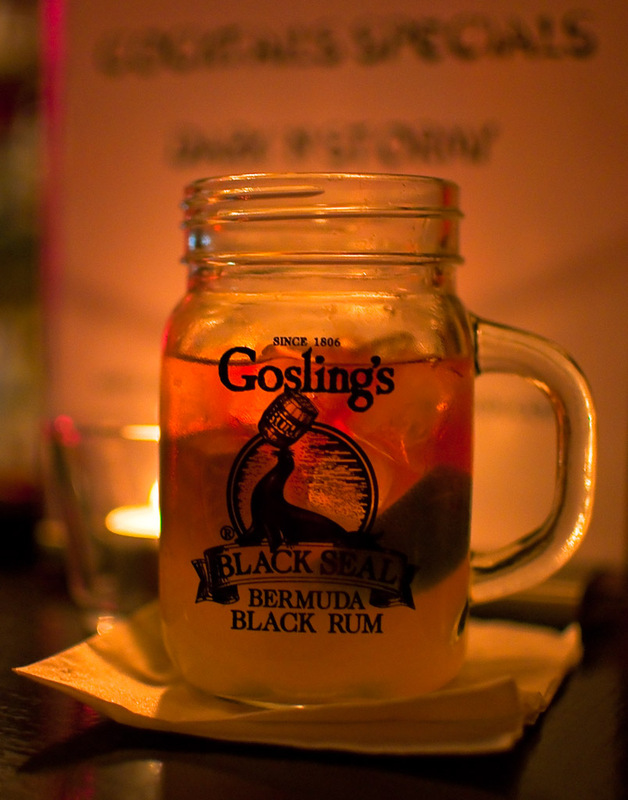 The rums, including Gosling's Old rum, have been available from various retailers and bars for a while now and the Stormy Ginger beer should arrive to the Australian shores sometime in May. With our cocktails in hand we were seated in the back of the Golden Monkey, where Alex had set up his Power Point presentation, laden with irrelevant images and fallacies, on purpose of course. The idea was to pick out all the things that were not right and every time someone would notice something incorrect, he'd receive a playing card. At the end of the presentation, the person with most cards would win a bottle of Gosling's Old Rum. A mighty fine prize might I add! Sadly, the winner wasn't me but at least I got to sample the rum, which I must admit is a damn fine drop! During the presentation we went through Gosling's Gold, Black Seal and Old Rum - The Gold rum is a blend of pot and continuous still rums aged for five years whereas Gosling's Black Seal is a blend of three triple pot distilled rums aged three to six years. 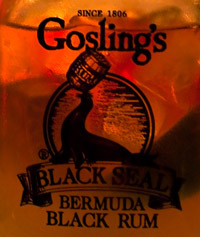 The real treat of the night however, was Gosling's Family Reserve or Old Rum as they call it, which consists much of the same rum as the Black Seal but has undergone additional ageing, making some of the rums in the blend just under 20 years old. After the presentation and rum tasting we were generously offered a second cocktail, some kind of rum swizzle with bitters and brown sugar as I recall and as usual the snack tray made its way through the crowd. I can see rums popularity in Australia is definitely growing and every time it shows in dedication and numbers of the people attending these events, even a Diageo rep was spotted in the crowd. 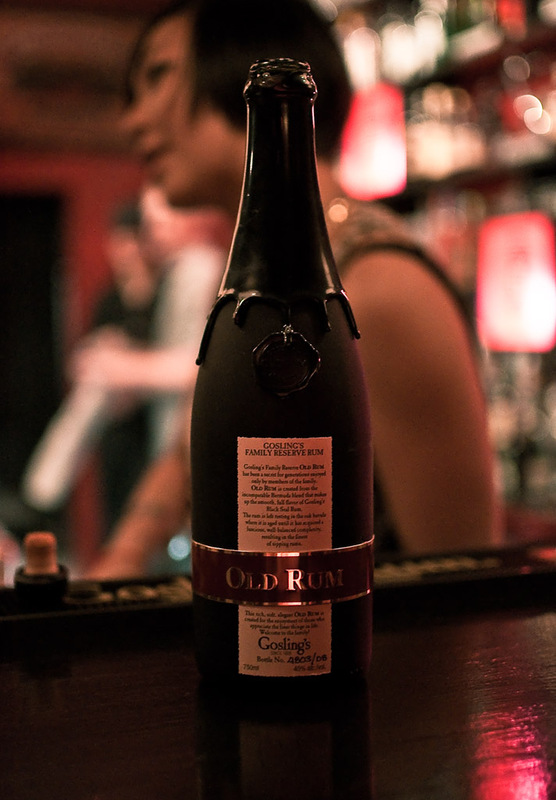 The Rum Club is all about fun, a way to share your passion with like minded people as well as trying and learning new things about rum and the lifestyle. At least that’s the way I see it and from the looks of things, for me it seems like it’s going to be Dark n' Stormy for a while. Check out the Refined Vices facebook page for more pictures or discuss this in the forums.